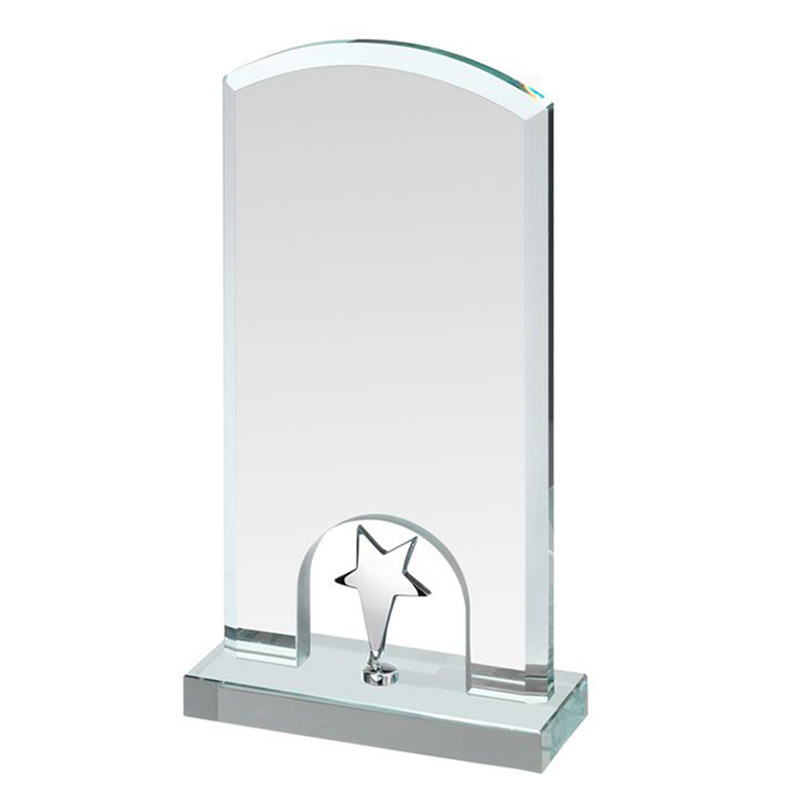 These quality crystal star awards plaques, standing 7in tall, perfect for creating trophies for different levels of achievement. They comprise a rectangular plaque with bevelled edges and an elegant arched top. The foot of the plaques has a semi-circular cut-out housing a silver finish metal star. These free-standing plaque awards can be engraved on the flat front and are offered here with text and logo engraving options. 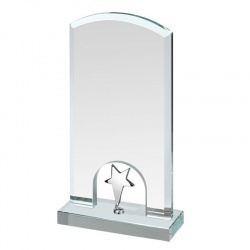 Arch top crystal plaque with silver finish star at foot. 8.25in tall. Arch top crystal plaque with silver finish star at foot. 9.25in tall.